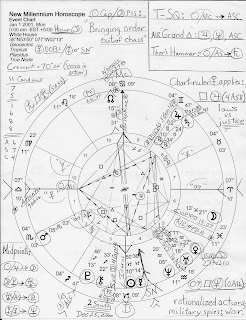 In June 2013, I published the New Millennium Horoscope so that the chart would be available to you and me for future reference--for transits, progressions, etc. 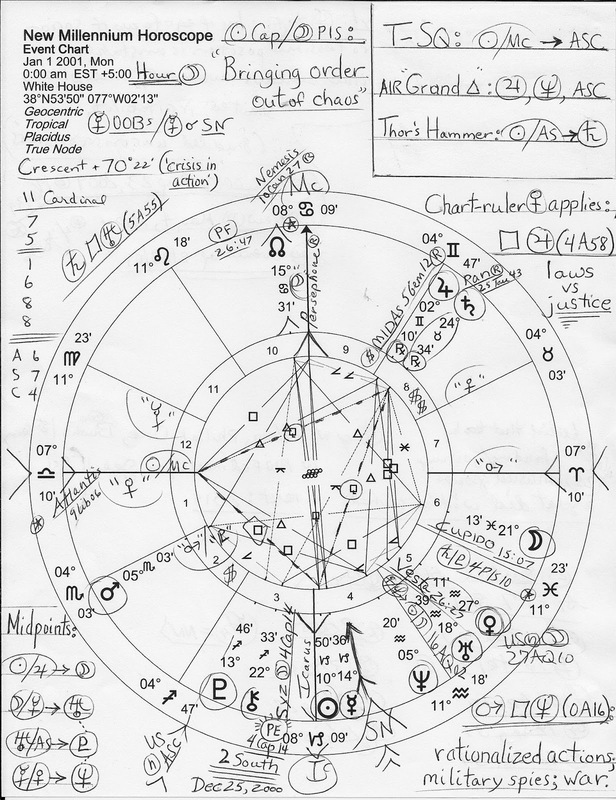 Click to view the chart and my original post with brief astro-notes. 1. 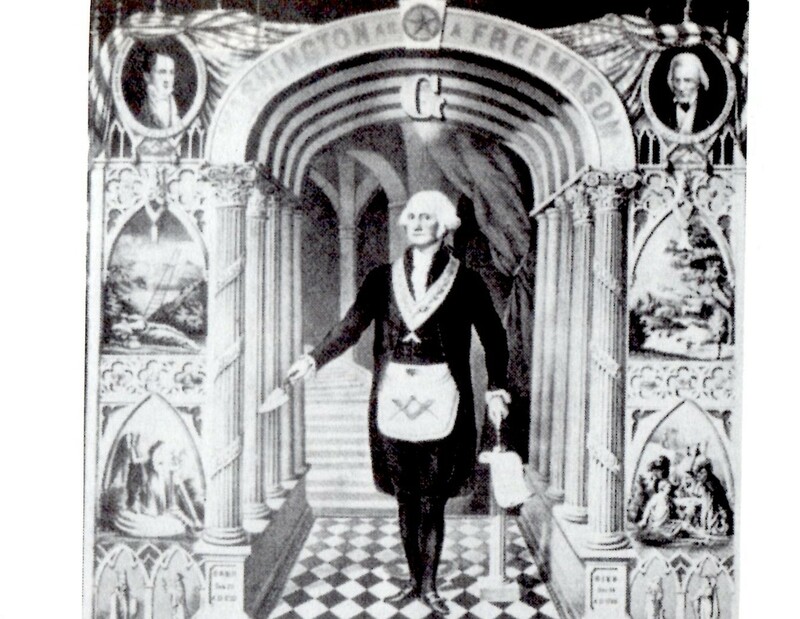 That transit Saturn (austerity, restriction, delay, stoppage, loss) has for some time been conjoining New Millennium Mars (5Sco03) which is posited in the NM 2nd house of America's National Treasury. This constricting, inhibiting transit denotes a time when taking shortcuts, circumventing rules and regulations, or not following the prescribed course are ill-advised tactics, and much determination is required for future success even if things seem to be progressing very slowly at the moment. Transit Pluto to NM Sun echoes a similar transit during FDR's administration when the New Deal was instituted including jobs programs and other methods to renew our economy and benefit the American people (Pluto has extreme wealth hidden in secret places, y'know.) Pluto conjunct Sun indicates an even more aggressive drive toward power, and the courage needed to deal or cope with current circumstances which motivate our leader/s (Sun) to make a new start. 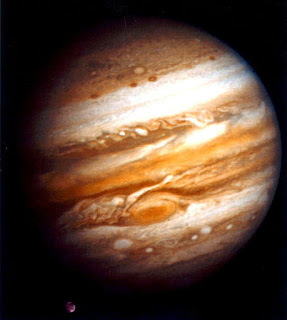 Yet the past closely influences the present with Pluto-to-Sun and the duo's energies when combined denote on one level dangerous situations, yes, but also open potentials for sudden advancement, consolidating one's position, and/or the realization of new ideas. These 'new ideas' we may hear within the public discourse, or even begin to see implemented, around the time of the November 2013 Solar Eclipse in Big Business Scorpio, the month when the US debt ceiling may be reached--or breached, and sore-loser Republicans threaten yet another shoot-self-in-foot government shutdown. 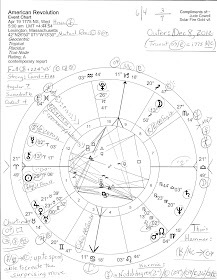 Look to your own natal chart for the houses where 5/6 Scorpio and 9/20 Capricorn fall--plus, any aspects these degrees and transiting planets make to your planets and chart angles--for clues on how these transits may be personally utilized.